2017-09-05. Published in category Articles. In my experience, it’s a real challenge to play the trumpet. It takes hard work and dedication. I feel that I haven’t mastered it in over 45 years of practice, and still, I continue to practice every day. This is a challenging instrument, and I’ve heard colleagues say that they wish that they had picked up a different instrument. I sometimes feel that I had picked the sax. Nevertheless, the trumpet is the outstanding and clear instrument in a horn section, and you hear it at all times; at the top of everything else. Of course when we say “Trumpet”, we are referring to the B-flat trumpet. For instance, I recently purchased a C-trumpet that allows me to play with the piano without converting my notes or transpose. It’s good to have the C-Trumpet as backup, as there are bands who have trouble transposing music for trumpets. We are up in the high notes where the trumpet brightens up the music. Three of the best ever arrangers of music for the trumpet are Dizzy Gillespie, Count Basie, Thad Jones, I feel. In a big band, I prefer five saxes, four trombones, and four trumpets. When it must be a smaller band, I feel what matters most is a trumpet, trombone, tenor sax, and a baritone sax. The reason is that it makes for a well-balanced sound. Case in point: the band Tower of Power has exactly these same instrument (trumpet, tenor sax, baritone sax, and trombone), and they sound great. As you know, I worked a lot with Solomon Burke, and his horn section was similarly composed, as well maintaining string and percussion sections. A lot of acts these days put the money on dancers before they hire a horn section. I understand there are preferences, and cost is always a factor. Dancers do add color to a show, giving a visual performance but so do horn players. They can provide not only a visual dynamic, but a grand auditory fanfare like with Bruno Mars or, perhaps, analyze the Disco Era. It certainly is a debatable topic. I love soloing – playing a melody by yourself. For me it allows me creativity, more freedom. If you’re talented enough, you can not only play the melody to a song but you’re allowed to ad lib with licks or flash, or flare if you will – a style. For instance, listen to these trumpet players; Freddie Hubbard, Lee Morgan, Clifford Brown, Miles Davis, Nat Adderley, Blue Mitchel, and the infamous Louis Armstrong. In my soloing, I try to tell a story that you can understand whether or not you’re a musician. I live in San Diego and keep active here and in Los Angeles mostly. I’m excited to say, that this October, I’m performing for Solomon Burke’s son. 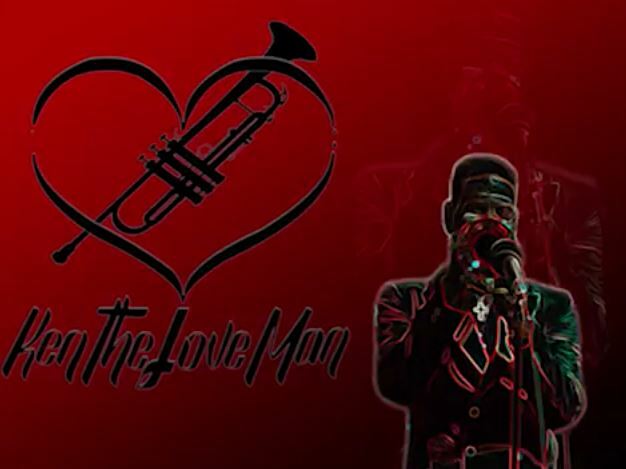 As you may know, I was in Solomon’s band for twenty four years, known as “Ken the Love Man” and traveled the world with him. God rest his soul (passed October 10, 2010). It was an honor to know and work with him – an Icon of Rock and Soul. My current ambition is to put Solomon Burke’s band back together and do a farewell tour. People loved him and his music. Kenneth Meredith has previously contributed an article to Musicians' Corner, Musicians On Music, where he talks more about his musical journey and his work with Solomon Burke. Previous post: Bria Skonberg puts her twist on the standards!